Somalia achieved its independence in 1960 through a merger of British Somaliland and Italian Somaliland. The first embassy offices were leased at 7/8 Via Locatelli (? 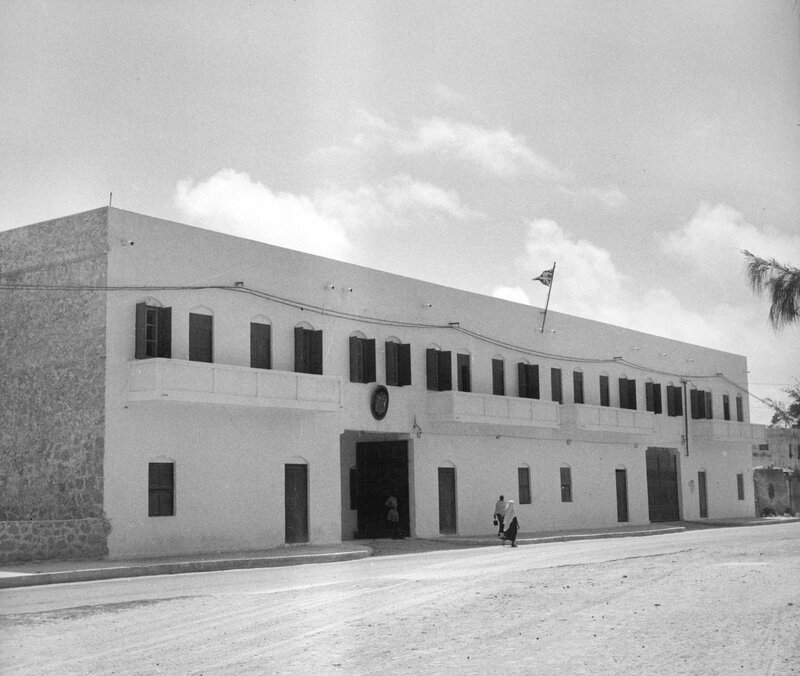 the former consulate-general offices), a two storey detached building close to the centre of town. Diplomatic relations were severed between 1963 and 1968. Upon their restoration, the offices (untouched, thanks to the protecting power, America) were re-opened, though the street was by then re-named Waddada Xasan Geeddi Abtoow. The building was renovated for £250,000 in 1986 and the lease renewed until 1991, with an option to extend. The renovation included the installation of bulk storage tanks for diesel and petrol, and a new generator, to help protect against the worsening security conditions. Civil conditions in Somalia worsened and the Post closed in 1990. It re-opened in 2012, and is now in a small compound within the perimeter of the international airport. The former offices building is understood still to be standing. A consulate-general was established at the time of independence in 1960. The Somaliland Protectorate, ten days before independence, granted free of charge 99-year leases on two compounds, opposite each other on Corfield Avenue, called Plots ZZ1 and ZZ2, together comprising 8½ acres. They contained four detached houses, one of which became the consulate office, and three semi-detached pairs. The Post closed in 1963 when diplomatic relations were broken off and did not re-open when they resumed in 1968. The Ministry of Public Building and Works offered to hand back the compounds in return for about £13,000, representing the value of improvements made since independence, less dilapidations. 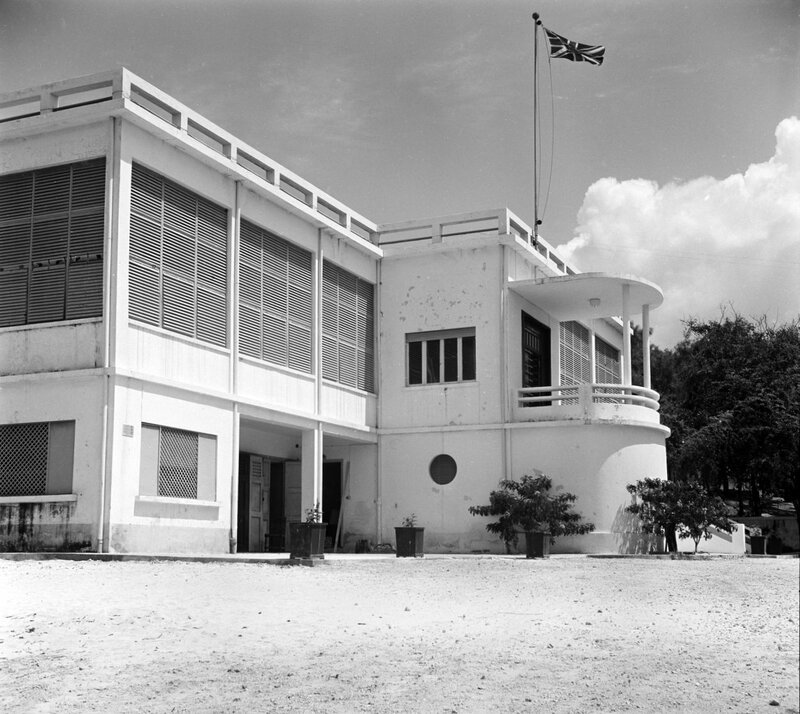 Entrance front of ambassador’s residence, 1962.